California’s 2017 legislative session resulted in numerous laws geared toward reforming criminal justice in the state and improving the lives of those convicted of a crime, and Gov. Jerry Brown recently signed a number of the bills that were passed by the legislature into law. Read on to learn about some of the new laws, and speak with a Southern California criminal defense attorney with any additional questions. In a previous post, we described a bill that had been passed by the state legislature which would result in wider eligibility for both young and old inmates. Gov. Brown has now signed both these bills into law. There are two more new laws that will have an effect on sentencing: Senate Bill 180 and Senate Bill 620. 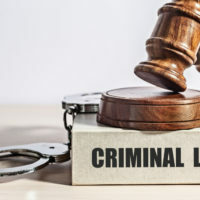 These bills address sentencing enhancements, which can add years to an individual’s jail sentence when that person has previously been convicted of certain crimes or used certain weapons during the commission of a crime. Senate Bill 180 does away with sentencing enhancements for those convicted of minor drug crimes. Senate Bill 620 will also do away with mandatory additional jail time if a person was found to use a gun during the commission of a crime, instead allowing a judge to make that decision based on the facts of the case. Beginning on January 1, employers across the state may no longer ask about the criminal history of job applicants on their initial application for employment. The author of the so-called “ban the box” law, Assemblyman Kevin McCarty, said that the law “will eliminate barriers to employment, reduce recidivism and give people with conviction histories an opportunity to demonstrate their ability to become productive, contributing members of our society.” Employers may still conduct background checks on potential new employees, but not until the job candidates have received an offer of employment. Gov. Brown also signed laws that will make it easier to seal arrest records when an individual was arrested for a crime but never charged, as well as a law that would allow certain juvenile misdemeanor convictions to be sealed. If you’re facing criminal charges in Southern California, or you need help sealing your criminal record, obtain seasoned and dedicated criminal defense help by contacting Ventura criminal defense lawyer Paul Tyler for a consultation, at 805-889-9000.